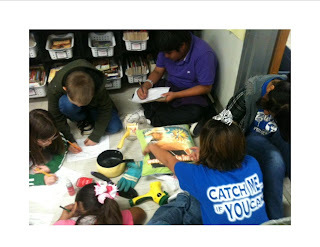 So... our fabulous state test, the STAAR test, doesn't it just sound glamorous. Lol! I got an idea from Lindsay at My Life as a Fifth Grade Teacher. My students have talked with me about struggling with inferencing and drawing conclusions, so I decided to have a fun reteach/review activity on this lovely Friday. 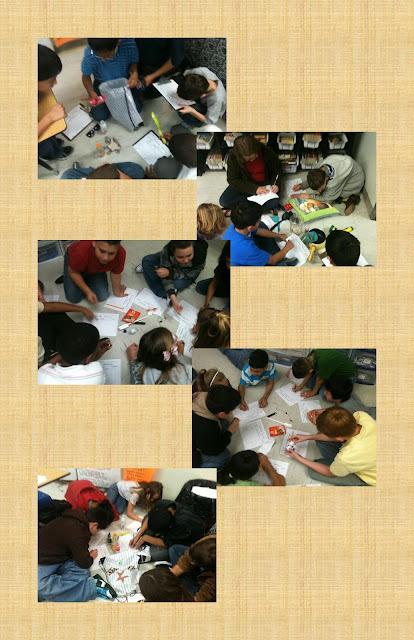 I had the 2 other teachers in my pod bring in bags with items that would help describe them. So.. the students had three bags filled with items and their jobs was to travel as a group to each bag and make inferences about the person that the bag belonged to. I didn't even give them any clues at to who had given the bags to me... I must admit that I was trying to trick throw them off. 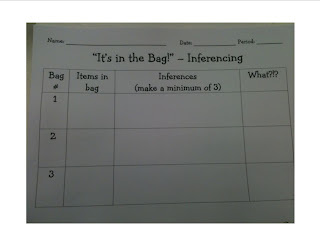 After they had gone to every bag, we came back together as a class and discussed some of the inferences they had made. I must admit that some of my kiddos are quite clever! :) Finally I revealed that the bags belonged to their 3 teachers and had them infer, based on what was in the bags and what they had learned about us this year, who the bags belonged to. They thought that this activity was awesome... When they left my class, the math teacher said she had to spend the first 5 minutes talking about her bag. Cha-ching!! Success! !